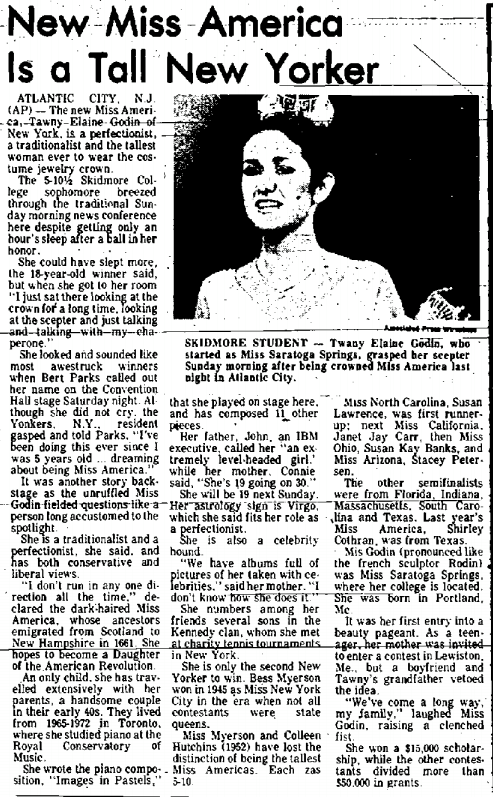 Fun Fact: Bess Meyerson (the 1st Miss America from NY, 1945) was the tallest Miss America until Colleen Kay Hutchins (NC, 1952)- both stood at 5’10. 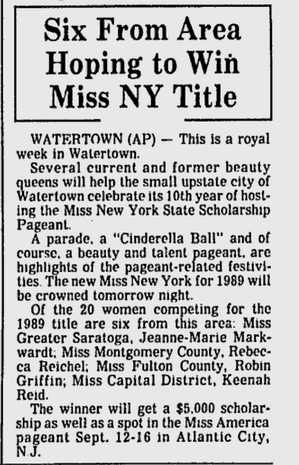 But when Tawny Godin (2nd Miss America from NY) was crowned in 1976, NY regained the Tallest Titleholder honor for many years. She was 5’10 1/2.